Differences in the effectiveness of diurnal and nocturnal visitors could imply specialization in plant–pollinator interactions. Consequently, floral traits (e.g. period of anthesis onset, colours, scent, and time of nectar production) could reflect adaptation to the most effective pollinator. 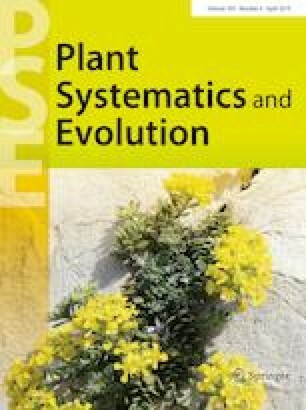 Despite the period of anthesis onset being frequently reported as an important factor for plant reproductive success, no previous study experimentally evaluated this effect. Flowers of Agarista revoluta (Ericaceae) present anthesis both at day and at night and are visited by diurnal and nocturnal pollinators. We conducted an exclusion experiment in these flowers in order to evaluate the effectiveness of nocturnal versus diurnal pollinators and the effect of the period of anthesis onset on plant reproductive success. We also measured the nectar production in these two times of the day and analysed the structure of nectaries and osmophores in order to assess the relationship between these floral traits and the foraging activity of the most effective pollinator. Nocturnal moths were the most effective pollinators, as flowers visited by this group produced more fruits than those visited by diurnal pollinators. Nectar was produced by a nectary at the ovary base, and this secretion was higher at night. Although more flowers opened at night, the period of anthesis onset had no effect on plant reproductive success or on nectar production. Our results indicate that A. revoluta presents a floral adaptation to nocturnal moths, suggesting specialization to these pollinators and that there is no effect of the period of anthesis onset on plant reproductive success. We thank A. Rodarte, A.L. Lemos, and C. Suizane for field support, N.A.C. Marino and A. MacDonald for statistical support, and the Instituto Nacional de Metereologia (INMET) for climate data. This study was supported by the Coordenação de Aperfeiçoamento Pessoal de Nível Superior (CAPES) as part of the master’s dissertation of the first author developed in the Programa de Pós-graduação em Botânica, Museu Nacional, UFRJ.